Summer, in my ’80s teen years, always meant strapless. Much to my conservative mother’s dismay, I loved bustiers and strapless dresses. Even years later such things are hard for me to resist. To me, strapless meant fun and flirty and was feminine without looking cheap. 1. Jim Varriale for Vogue, September 1986. 2. Patrick Demarchelier for Vogue Patterns, January/February 1986. 3. Anne Klein Footwear, Vogue, October 1987. Photograph by Arthur Elgort. 4. Tony McGee for Harper’s Bazaar, December 1985. Dress by Emanuel Ungaro. 5. Tyen for Elle, February 1988. Dress by Enrico Coveri. 6. Arthur Elgort for Mademoiselle, November 1987. Dress by Cathy Hardwick. 7. Giorgio Sant’Angelo/Martha, Elle, November 1987. Photograph by Gideon Lewin. 8. Lulu Bravo, Elle, March 1988. Photography by Gregory George. 9. 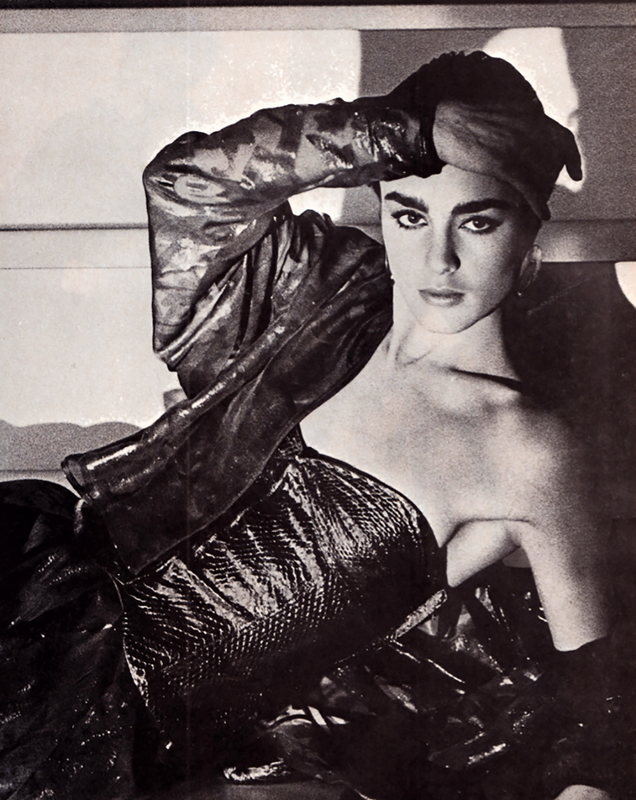 Claude Payne for Malekan Studio, American Vogue, March 1982. Photograph by David Garvey. Trend Bazaar is a light-hearted, weekly feature showcasing fads spotted in ’80s fashion adverts and editorials.